Burn Injury Compensation Claims Guide – How To Make A Claim? – How Much Compensation For Burn Injuries? Burn injuries are not only devastatingly painful, but their effects can also be devastatingly long lasting, with scars from burns being visible reminders of an incident most of us would rather forget. Whether you know already what to do if you burn yourself or not, sometimes the skin is permanently damaged and cannot be repaired to what it once was, even if it was a hot tea burn or hot coffee burn suffered. However, building fires, car crashes and the like can also cause burns, some so severe that they lead to loss of life, so there are so many consequences to a burn injury, from disheartening to devastating, and all are painful when they happen. If you’ve suffered a burn injury, whether a first degree burn or worse, then you are likely to feel very aggrieved if the incident was the cause of someone else’s behaviour or negligence, and you might be looking for burn injury settlements amount UK, or how much is my burn claim worth, to try and work out if it is worth your while putting forward burn injury claims. The good news is, you’ve landed on the right page if this is the type of question you’re looking for answers to. In this guide, we focus on what a personal injury claim could bring you, we discuss the personal injury claims time limit, and how to find the most well-matched personal injury lawyer for your claim. Call Advice.co.uk on 0161 696 9685 for clarification on any of these points. But do read on, as we have lots of advice on burn injury compensation claims and how you could proceed with one. How Much Compensation Do You Get For A Burn Injury? What Workplaces Could Put People At Risk Of A Burn Injury? How Long Do You Have To Make A Burn Injury Claim? What Is The Best Way To Start A Burn Injury Claim? According to the British Medical Journal, the World Health Organisation reported in 2004 that eleven million people per year suffered injuries from burns that were significant enough for them to have to seek medical assistance. This places burn injuries the 4th most common injury cause in the world. Burns themselves are painful and carry a significant risk to health, but it is often the aftereffects such as scarring that can cause ongoing issues, both physical and mental, that are felt heavily long term. If someone else has caused a burn injury to you, via lack of care for your health and safety when they were supposed to protect you, or via their dangerous behaviour, then this can make the whole thing first, as it was not an accident that couldn’t have been prevented should they have acted in another way. This is usually what leads people to look into compensation for a burn injury. Burn injuries can range in severity and in cause. 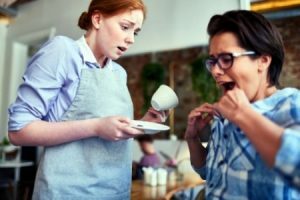 You may have suffered a burn from hot liquids such as tea or coffee that were spilled on you, or you may have been in a fire. You may have been in a car accident that has caused you burns, or you may have suffered a burn injury at work. Whatever the cause, if someone else were to be seen as being at fault, then you’re right to seek compensation. Here at Advice.co.uk, we’re here to answer question on burn injuries claims, such as how much compensation do you get for a burn injury, provide information on workers compensation burn settlements, and even offer to provide a personal injury solicitor for your burn injury claim. Once you’ve finished reading, if you’d like to ask us anything else, then do get in touch – our efficient and knowledgeable advisors will be glad to assist you. As we mentioned, calculators rarely take into account the specifics of a case which is why they’re ultimately not very helpful in giving you an idea of your compensation amount. This is partly because they don’t take into account different types of damages, which we explain below. Should you have to have someone care for you as you can’t do your usual day to day things like getting dressed or toileting, these costs can be claimed for. Likewise, if someone has had to care for your children while you are unable to. Whether it’s train fare to a hospital appointment or if you have to pay for parking and petrol, these are funds you are only paying out because of the injury, so you should be able to include them in your claim. Both immediate and ongoing financial losses from employment can be covered as a part of your claim. If you are unable to get back to work before you go on statutory sick pay for example, this gap in your wage should be included in your case. Although the NHS is free, there are costs involved with medical treatment to give you the best outcome, and these can often be included within your claim. You may think burns only occur from hot things, but the fact is, there are lots of ways in which burns can be caused. Electrical burns can come from faulty or badly maintained electrical outlets, chemical burns can be caused by all sorts of liquids, from cleaning solution to other chemicals you might use, in, for example the workplace. Then, of course, there is the burns that come from car accidents, with hot metal involved, or with other machine accidents, as well as the obvious burns from house and building fires. Whilst skin burns seem to be the most obvious, it is also possible to burn internally, especially when breathing in toxic fumes. Basically, an injury caused by some sort of burn where someone else is at fault who should have taken steps to ensure it didn’t happen can be held accountable for a burn injury. Proving liability for a burn injury however can be a little tricky in some cases, and this is why it’s often a good idea to get a personal injury solicitor to help you. When you initially incur a burn or scald injury, the right actions can help make recovery a little easier. Initially, you should stop the burning from carrying on by either dousing any flames, moving the person from where they are, or smothering a fire with blankets. Any jewellery that is worn by the victim close to the area should be then removed, as well as clothing, unless it is stuck to the person. Burns should be cooled with lukewarm or cool running water, and it is essential to keep victims warm. Cover up the burn with something like cling film, but don’t wrap it, take pain relief if needed and if it is facial burning or involves the eyes, you should take steps to ensure the victim stays upright if possible. This can help to reduce the amount of swelling. Once initial first aid is done, you should seek medical assistance. Was the person that caused the accident negligent or dangerous in their behaviour? Did they have a duty of care to keep this from happening? Was the burn injury a direct consequence of their behaviour or negligence? Did you suffer harm because of this? If you’re not sure who would be deemed as being liable for your own circumstances, then do get in touch – we can advise you on this. If you’re wondering can you sue for a second-degree burn, then you might want to read the below explanation of what consists of a second-degree burn if you aren’t already aware. You can claim for almost any class of burn if it causes you injury serious enough to leave scarring. Instances where the top skin layer (epidermis) is affected only. It should not blister and while it can cause pain, this should go away quite quickly. The deeper layers of the skin (dermis) are affected. Over 10 percent of the body affected by this type of burn can mean the victim suffers shock. This is often due to fluid loss. Most severe burns covering all layers of skin, the epidermis, dermis and fat and tissue underneath are all burnt. Skin grafts may be required, permanent scarring is almost inevitable. 3rd degree burn settlements UK are often higher than those from the other degrees. Can you sue if you get burned at work? The answer is, it depends whose fault it was. Workplace accident claims are common, but there is a point that needs clarifying to see if you have a claim, and that is whether your employer had taken steps to protect you from harm, such as safety training, risk assessments, providing PPE where necessary and making the workplace as safe as they can. If they have, then there is a good chance you’ll have a valid claim. Almost any workplace poses a burn risk if the premises catch fire but some come with more risks that others. Kitchens are particularly risky, but employers should also take more care to train staff and reduce risks. Other industries that often come with some risk include construction, engineering, and cleaning to name but a few. However, it doesn’t really matter which industry it is you work in. If you were to suffer a burn injury because your employer were negligent, then you could claim. Cars are obviously made from metal in part. When these parts become very hot and make contact with the skin, they can cause burns. In addition to this, car fires can cause burn injury. If petrol catches a spark, then this can cause a fire that can be devastating, especially if you cannot get out of the car quickly. Other than this, airbags, when they inflate, contain a small explosive charge – these can also cause a burn injury. If you were burnt in any way because of an RTA, and another road user was at fault – or perhaps the local authority or Highways Agency if it were an issue with the road that caused the accident – then you should be looking into making a claim for burn injury compensation. You may think that these are not serious, but if they cause burns that leave scarring, they can have a devastating effect not only on the person’s ability to work, but their self-esteem as well. If you have been served food that is at too high a temperature for you to consume and you suffer burns, or someone spills a hot drink on you on an aeroplane for example, then you might be in a position to claim for your burn injury. Whether it’s laser surgery, waxing, or hair removal, if it is not done correctly and with the greatest of care, then it is possible for you to suffer a burn. The utmost care must be taken if you are undergoing any kind of treatment and your practitioner, whether a beautician, surgeon or other clinical practitioner, should have known the risks and taken care to avoid them. Of course, this list isn’t exhaustive as there are so many instances where this could happen. If you’ve suffered a burn or burns from medical treatment or treatment in a beauty clinic, and they could have been prevented with better care, then you could be in a position to claim burn injury compensation. Electrical burns can be incredibly painful and could cause more injuries other than burns. However they come about, whether a landlord has failed to make safe the electrics in your rented accommodation, or your employer has not regularly checked machinery before you’ve used it, if you’re burned in this manner, then you could have cause to claim. Likewise, if you are sold a faulty product, and suffer burns as a result, you might be able to hold the manufacturer or the seller responsible for this. When thinking about starting a claim, there is a lot to consider. One of the most important things to have to hand is details of what’s happened, so it is best you write these down before you forget them. In addition, you must seek medical attention, not only to get the right treatment, but also to ensure that you have proof of the injury. You will also be wise to have photographs of the scene of the incident and your injuries at various stages, including just after the accident if possible. This should not be too difficult to do if you have a camera phone. One very important thing to consider is where to find a lawyer to help you. In some cases, you can handle claims yourself but it is highly likely, unless you are experienced in the law yourself, that you’d be able to fight as well for the compensation you deserve. A good personal injury solicitor knows just what to put forward to ensure you get the maximum you’re entitled to as per the specifics of your case. Here at Advice.co.uk, we can help to provide you a solicitor that not only has experience in the specific area of the law you need, but also one that works with no payment required upfront. Sadly, some people refuse to make a claim, and leave themselves financially worse off, because they believe – mistakenly – that they can’t afford the legal fees. The truth is, they need not pay anything out upfront, and only part of their compensation will be used to fund the legal fees after the claim is settled. This amount is capped, and you will know what percentage is to be used for your lawyer before you decide to go ahead. This means there’s really no risk to your bank balance – as even if your claim doesn’t wind up paying out, you wouldn’t have to pay a legal bill at all. All the risk in these cases is the lawyer’s so you can be sure they’ll work hard to make sure you – and they – get paid. Why Call Our Friendly Advisors? The clue is in the name. At Advice.co.uk, we know you want good solid advice you can depend on. We also know that despite the information in this guide being comprehensive, there will be questions pertaining to your claim that we could help answer. Our advice is free, and comes with absolutely no strings attached. You can be sure that if you decide not to take any advice we give you, there will be no issues with that. Deciding to make a claim is a very personal thing, so we won’t ever push you into doing something you don’t want to do. We make it easier for people to claim compensation for a burn injury, and if you follow our simple three-step process, you’ll benefit from a great service, we can assure you of that. It’s very easy to get advice from us. You can either use our guides for more information, or call to chat to us on 0161 696 9685. There’s also a contact form you can use to fill in and we’ll get back in touch with you. There’s really nothing to lose by getting advice, and you may find that having your position clarified gives you the confidence you need to go ahead and start a burn injury claim for the compensation that you deserve. RIDDOR – Work-related injuries, including burns, can be serious. Find out more from the HSE. HSE Managing exposure to skin – HSE provide advice on risk management pertaining to the skin. Fire safety – HSE fire safety in the workplace. NHS burn injury treatment – Advice from the NHS.